LAHORE: (Friday, April 6, 2018): Punjab University Centre for South Asian Studies (CSAS) and Department of Political Science organized a seminar on “Pakistan Maritimes Affairs: Prospects & Challenges” in CSAS auditorium. 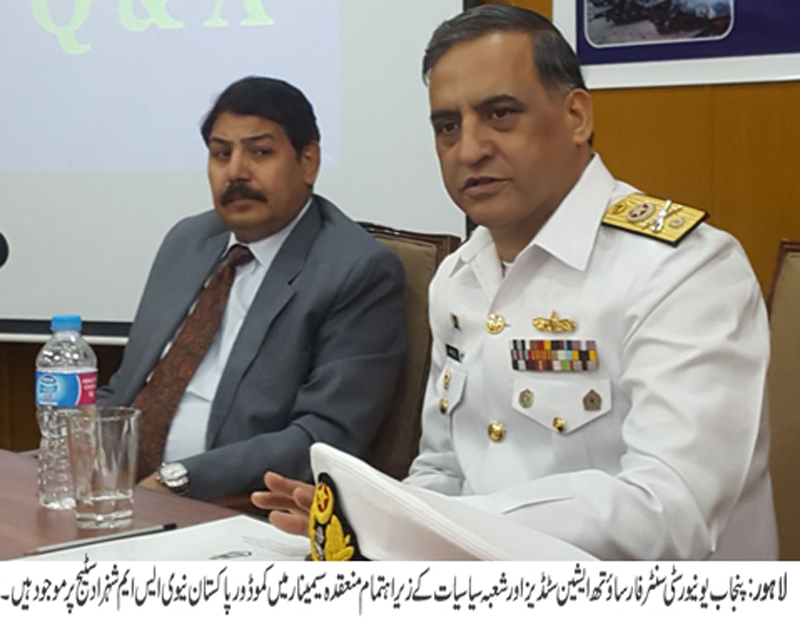 Commodore of Pakistan Navy S. M. Shahzad was the key note speaker while Director CSAS Prof Dr Umbreen Javaid, faculty members, MPhil, PhD scholars and students were also present on the occasion. In his lecture, S. M. Shahzad elaborated the geography of Pakistan. He said Pakistan had a very important geo-strategic location and has too many potential, resources and we can achieve many benefits being maritime state, he added. 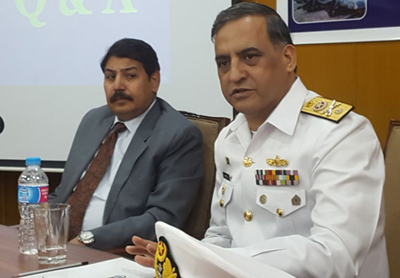 He said that Pakistan was suffering many maritime challenges which include sea lines of communication, human smuggling and arms trafficking.